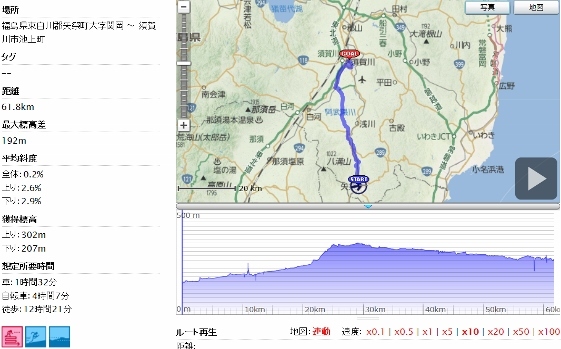 Today, after I left Yamatsuri Town I pedaled toward north on the Kujigawa Cycling Road and stopped at Furoyama Park of Hanawa Town. 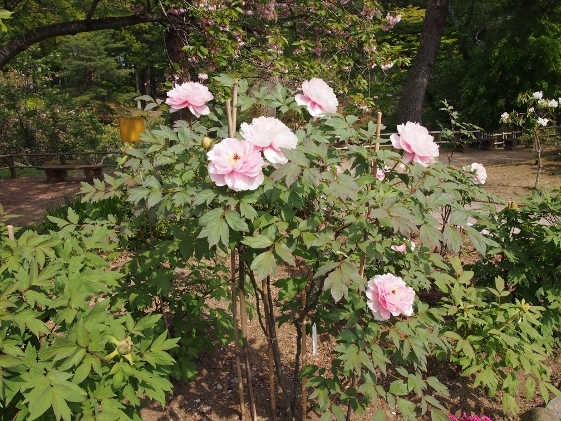 Then, finally I arrived at Sukagawa Peony Park at Sukagawa City. 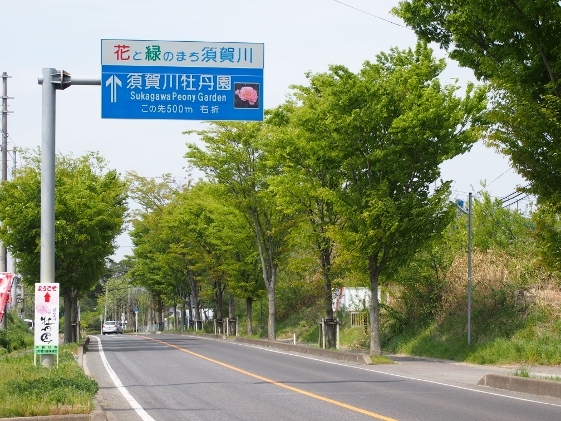 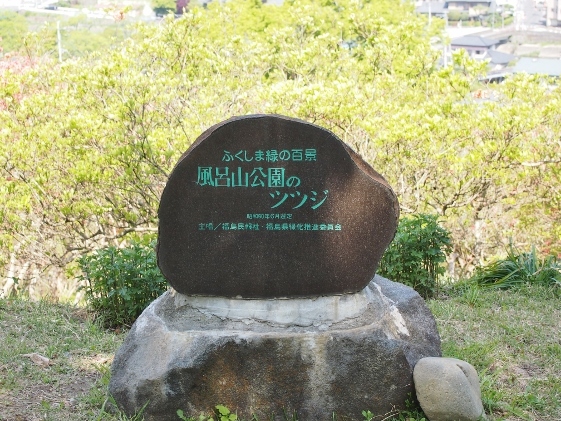 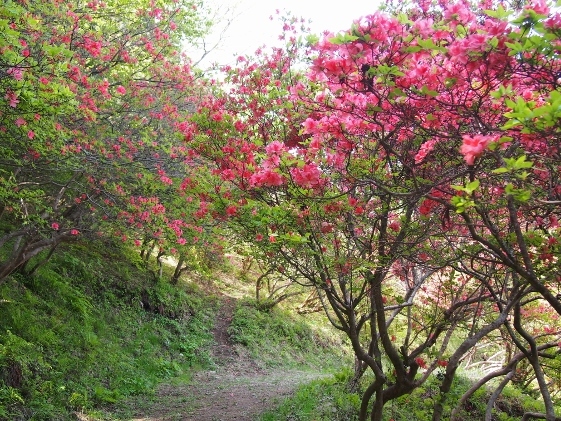 Furoyama Park which was famous for its azaleas was located near the Hanawa Road Station. 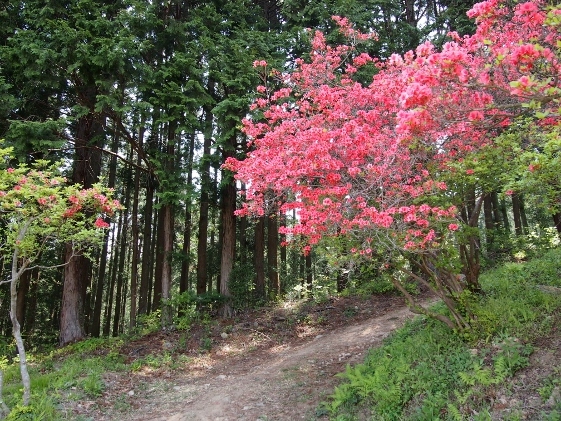 The park had been selected best 100 Green Scenery of Fukushima. 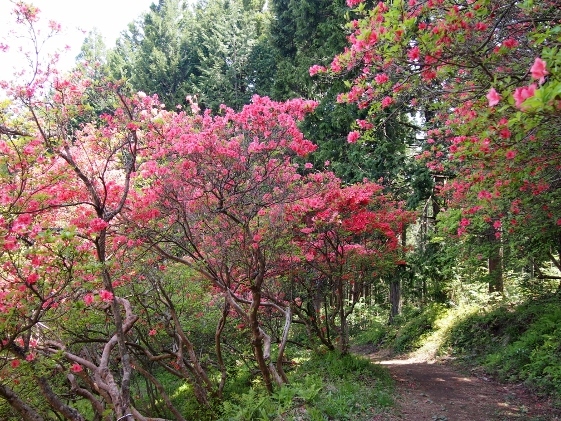 The azaleas today were after peak; however part of them were still in bloom as shown in the pictures above. 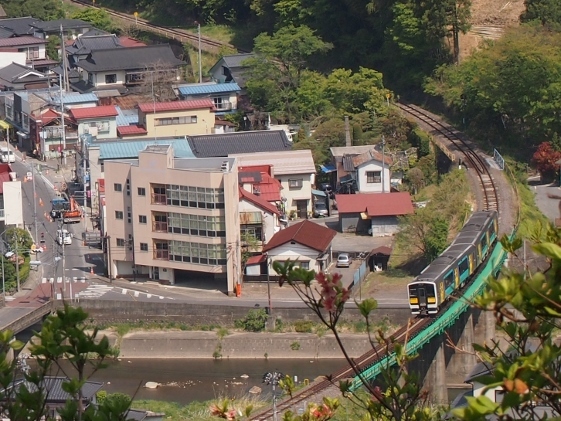 From the top of the park I could see the whole town below including passenger cars of the JR Suigun Line. 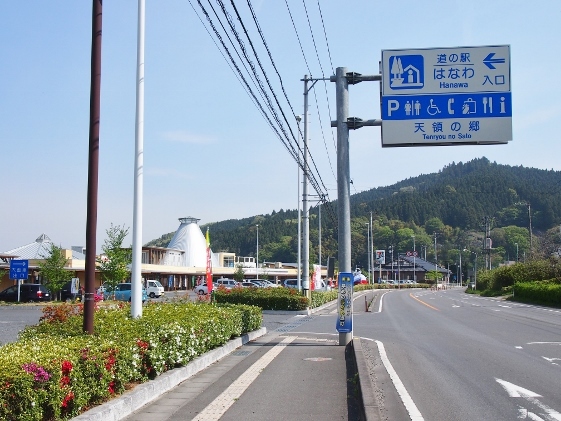 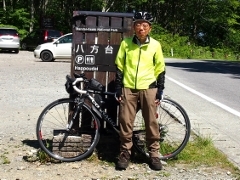 From Hanawa Town to Tanakura Town I pedaled on the Kujigawa Cycling Road. 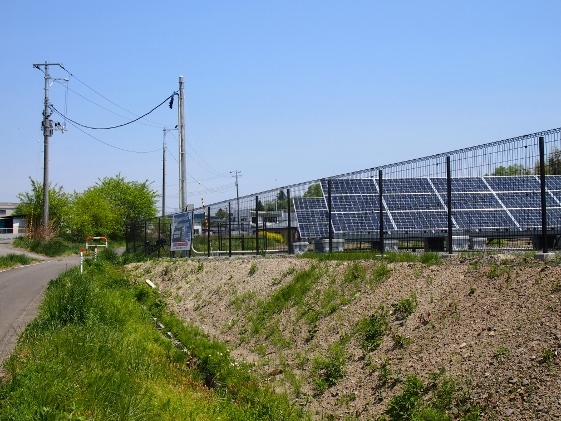 At the terminal I could find Tanakura Solar Power Plant of 50kw at the roadside as shown in the picture. 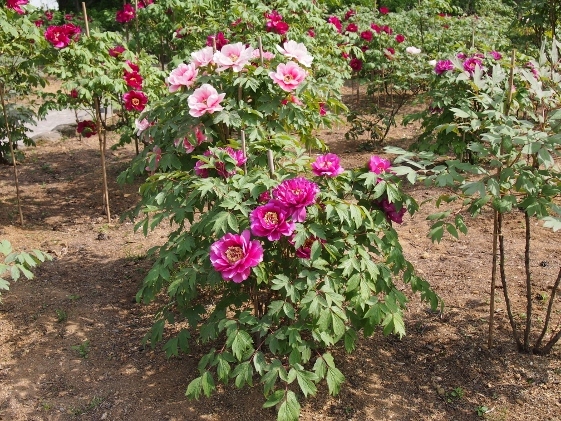 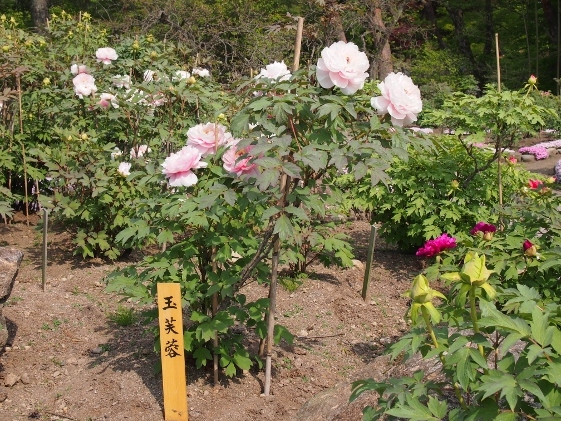 Sukagawa Peony Park was located near the center of the Sukagawa City and the Park had been designated as National Scenic Beauty. 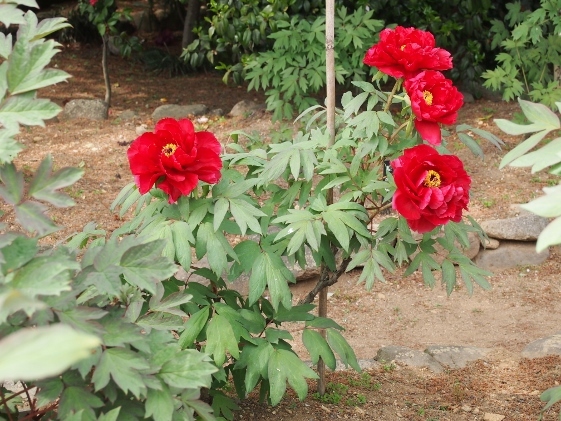 Many beautiful peony flowers were shown in the pictures above as well as guide sign and the entrance gate. 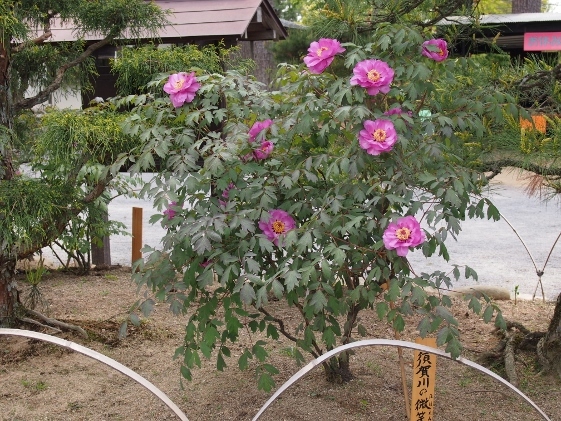 The flowers were almost best to see; however since there were still many buds left the best days will last for the time being. 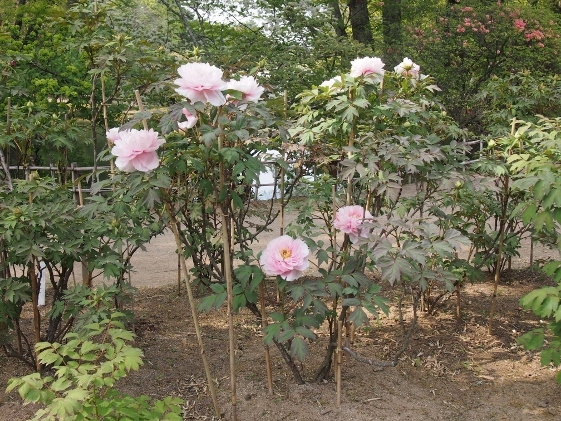 Foreign visitors who spoke French and Chinese were also there. 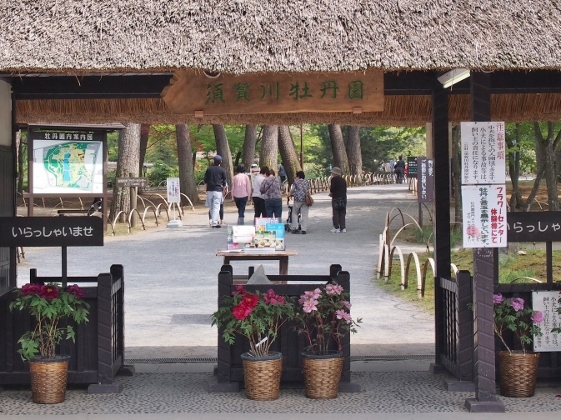 I believe this place as worth visiting.